When the children of Israel sojourned through the desert, a divine cloud, “a pillar of cloud” went before them in order to shield them from harm. And the angel of G-d, who had been traveling in front of Israel’s army, withdrew and went behind them. The pillar of cloud also moved from in front and stood behind them, coming between the armies of Egypt and Israel. Thus, the name of this operation is particularly appropriate as Israel defends itself from terrorist rockets and mortars — modern arrows and catapults. It looks like the war will escalate. Israel must destroy the terrorist infrastructure or she will be at the mercy of genocidal Islamists, and there will be no deterrence. 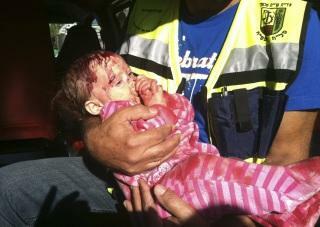 Israeli air strikes continue. Terrorist missile sites are positioned near mosques, schools and apartment buildings. As always, the terrorists use civilians as human shields. It’s important to note that the rocket attacks from Gaza have increased massively since Syria fractured into civil war. The Iranians are backing Assad, and it looks like they have made a bad move. The Gulf states bitterly oppose Iran and their client Assad. Hence, in a classic case of distraction — it’s the fault of the Jooz — Iran instructed their lapdog Hamas to step up the attacks on Israeli population centers. The Arab world will, no doubt, claim to be outraged. But behind closed doors, they look forward to Hamas getting kicked in the teeth, a way of reducing Iran’s regional influence. The Gulf sheikhs understand that Israel is the only power capable of thwarting Iran’s regional ambitions. This extends, naturally, to Iran’s nuclear program. Consider: the United States, under Barack Hussein Obama, is not a factor in the current Middle East. We have little influence, and no one is looking to us for — well, anything, save Obama’s tedious, Castro-like verbal flatulence. Community organizers get cut down to size very quickly in the Middle East. As Seraphic Secret wrote the day after Barack Hussein Obama was elected to another four years, Benjamin Netanyahu is now the leader of the free world. Which, in the end, is a blessing. Meanwhile, IDF combat soldiers and ground troops stream southward towards staging areas near the Gaza border, in preparation for a ground incursion. We can assume that IDF Special Forces are already operating within Gaza and, perhaps, in the Sinai, where the Muslim Brotherhood Egyptian government has little influence and Al Qaeda affiliates operate freely. Prepare for a deluge of false reports, phony atrocity photos, and Jew-hating blood libels from Islamist and liberal social media, Al Jazeera and the New York Times. My friend in Israel, Jameel of the Muqata, is liveblogging the war. 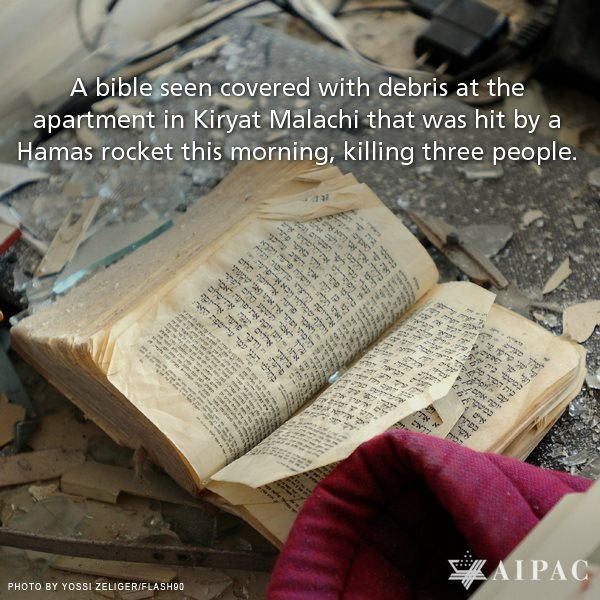 And the rocket attacks are all but ignored in the West. Israel has got to do what she has to do. Then, I try and wrap my head around the idea that EVERYTHING in a 50 mile radius of where I am at is subject to these same attacks daily… hourly… It’s not possible. Who could live like that? I wonder how all these liberal hypocrites would react, if it were made clear to them, that they are an integral factor in causing war, since they rarely, if ever, condemn the Arab anti-Jewish aggression, and continuosly criticize Israel, no matter to what intolerable provocation Israel responds. It (hopefully) has reached the point that Israel will no longer concern itself with public opinion, and will do what is necessary. As the fighting in Gaza progresses the fighters will melt into the populace as much as possible and the only news we’ll see is how many “civilians” have been killed by the IDF and the disproportionate response inflicted on the innocents struggling to survive the Israeli blockade. It’s the same story the media lapdogs spit out when Israel responds to constant attacks. What would the outcry be if Mexico drug gangs lobbed one rocket into El Paso? Israel gets dozens each week. Maybe they should go back and build more greenhouses in Gaza. Then maybe Hamas would spend the next few weeks destroying them instead of launching their rockets.